Showcasing a huge decked courtyard with favourable North Easterly aspect, this designer residence is sure to please. The opportunity for summer alfresco dining at home is attractive or capitalise on Fitzroy's legendary restaurants, cafes, bars, art galleries and boutique fashion retailers along Brunswick and Gertrude Streets. 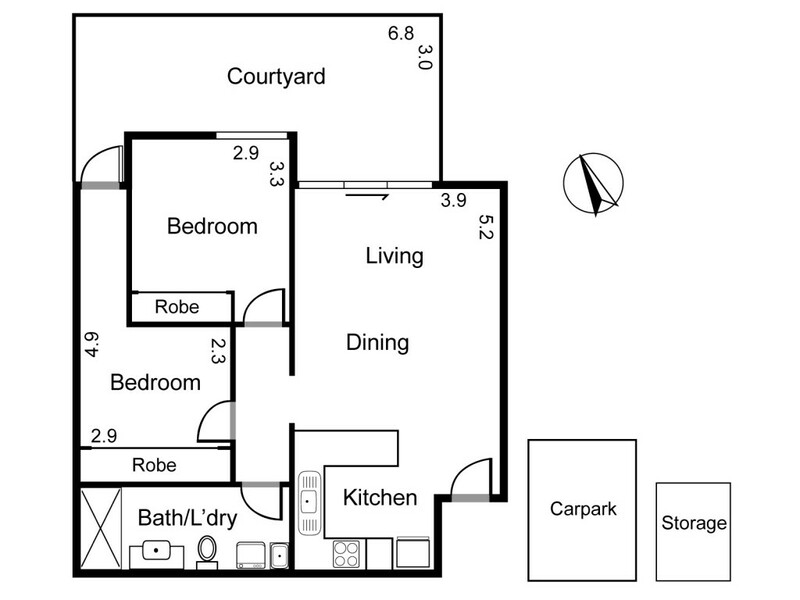 Featuring free flowing living/dining with polished floorboards, 2 bedrooms with built in robes, modern kitchen with granite benchtops, stainless steel appliances and handy double draw dishwasher. Blessed with great natural light, the apartment combines a generous central bathroom, double shower, laundry facilities, security entrance, storage, garage parking and in an exclusive block of only 10. Location is outstanding, with parkland, bike trails, public transport and CBD all close by.